And before you say it, no, this week’s poll is not about time travel — although we did get some interesting response to that question, so keep the comments coming in. While not relating to time travel, this week’s poll does focus on time again but from a different perspective. So often during our sims, time can be a factor that is overlooked. When watching an epic scene battle or tense investigation play out on screen, it is easy to see and appreciate how time moves. This isn’t always as easy when simming so the small details — like how your character deals with having to wait — might be left out. This week’s poll asks the question: Is your character a patient person? And, for the added bonus, please tell us in a comment why or why not. 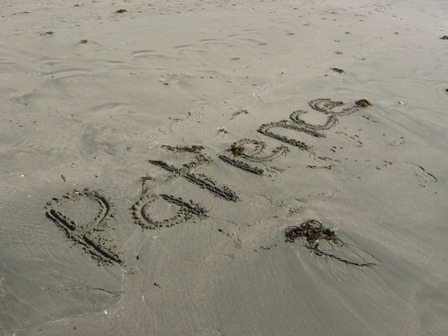 Patience is said to be a virtue but with so much hanging on the line so often it seems, it is only natural to feel antsy when crises arise and one is forced to wait. Or even sit around and do nothing in cases of shore leave just waiting for a red alert to sound. So whether your character is or is not, I hope this poll will provide some interesting thinking material for something that might have been overlooked in the simming world. Remember to post a comment on the forums and have fun, pollers, because that is what this is all about! !